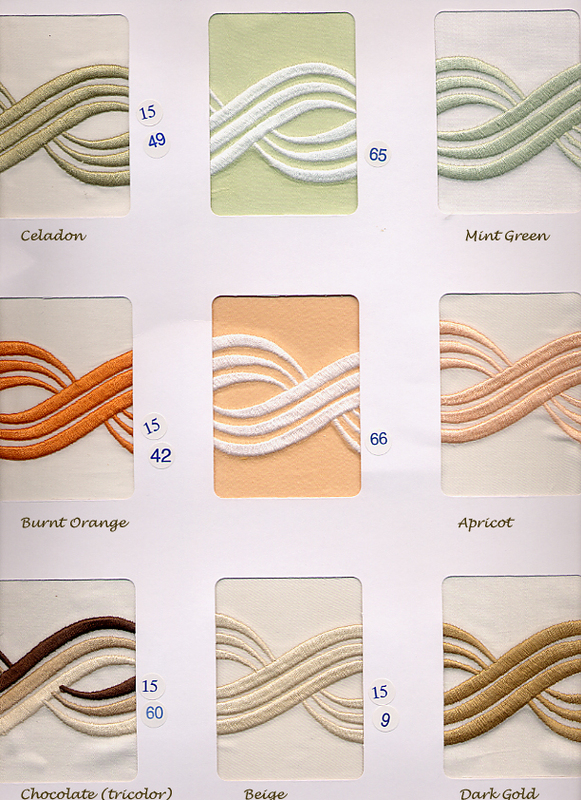 Here is a sampling of MONICA embroidery colors by Dea. Return to Monica by DEA bedding to make your purchase or call Aiko Luxury Linens to place your order by phone. 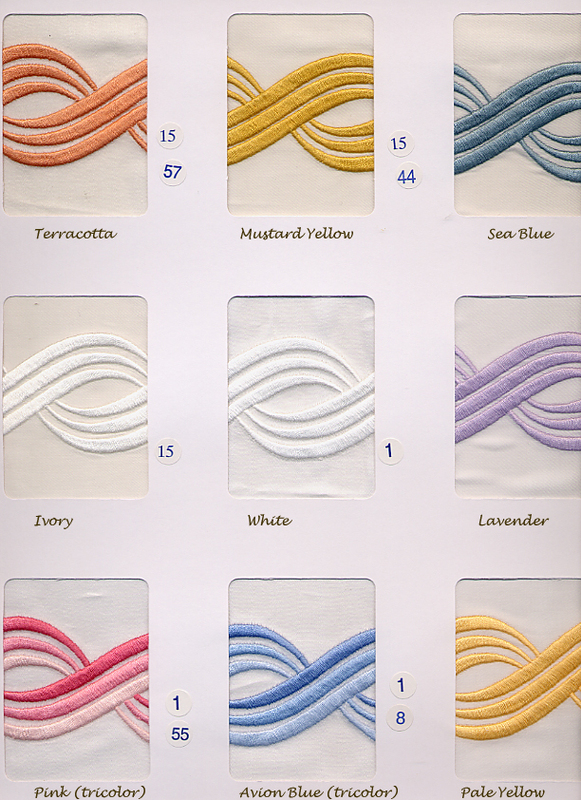 You may also order MONICA piquet coverlets/shams and MONICA towels.